Little kids, I’m convinced, remember travel more vividly than do adults. I’m less certain they recall those experiences accurately. One of the most powerful memories I have is of visiting the blinding-hot, otherworldly pyramids at Teotihuacan, Mexico, when I was nine years old. But do I correctly recall that my two brothers set off a bottle rocket from the Pyramid of the Sun? 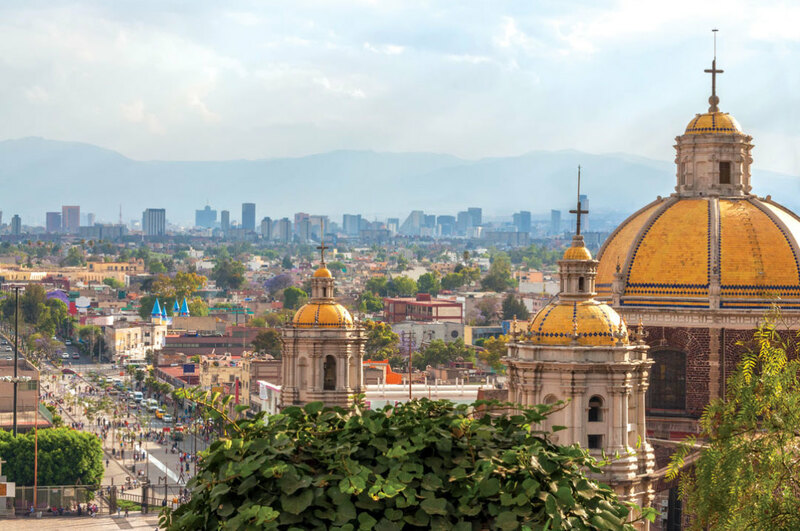 My mother was born in Mexico City—the Distrito Federal, or D.F. (pronounced “day effay”), as the capital is called—and we used to go back often to see my grandmother. My recollections evoke not so much sites as senses: my grandmother grabbing a plum from a pyramid of fruit and biting into it, Christmas stalls piled with nubbly lamb figurines, and an aromatic storefront where a conveyor belt ferried soft yellow tortillas. Five years ago, longing to give my twin daughters the same kind of intense memories I have, I started bringing them to Mexico City. I wanted its history, culture, stories, sights and sounds to sink into their unconscious. I wanted Mexico to be not simply a vacation, but part of their childhood. But this summer, the girls, now 10, had their own priorities. Could we, they asked, not do anything educational? The perfect vacation, they argued, included no museums, no paintings, no lessons of any kind. 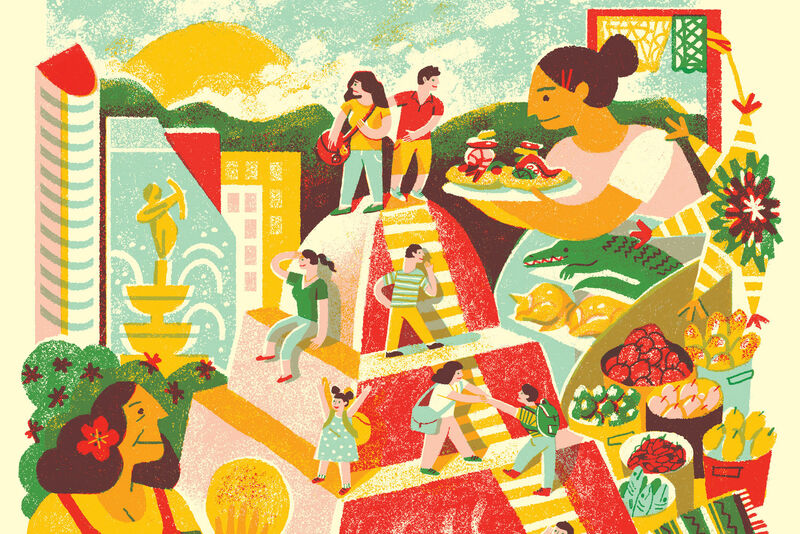 My mission was to make them as smitten with the city as I was, and to see if the classic Mexico experiences I remember from their age—the pyramids, the markets, the sweets—felt the same. So I agreed. We made our base at a great AirBnB in Coyoacán, a cobblestoned neighborhood whose name means “Place of the Coyotes” in Nahuatl. 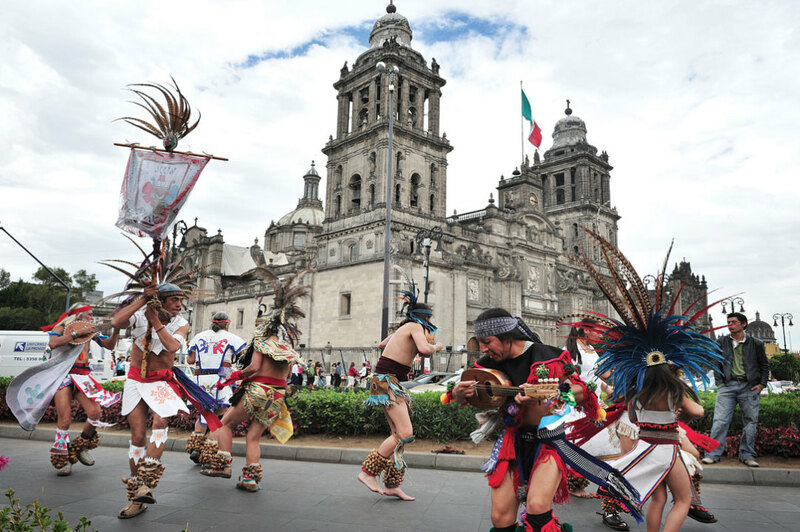 It’s one of the city’s great destinations for ambling, plaza-strolling and just luxuriating in Mexican ambience. Hernán Cortés built his house here after conquering the Aztec capital; colonial residents filled the neighborhood with mansions and leafy parks. In the ’20s, the area became a destination for artists and thinkers including Frida Kahlo, Diego Rivera and Leon Trotsky. 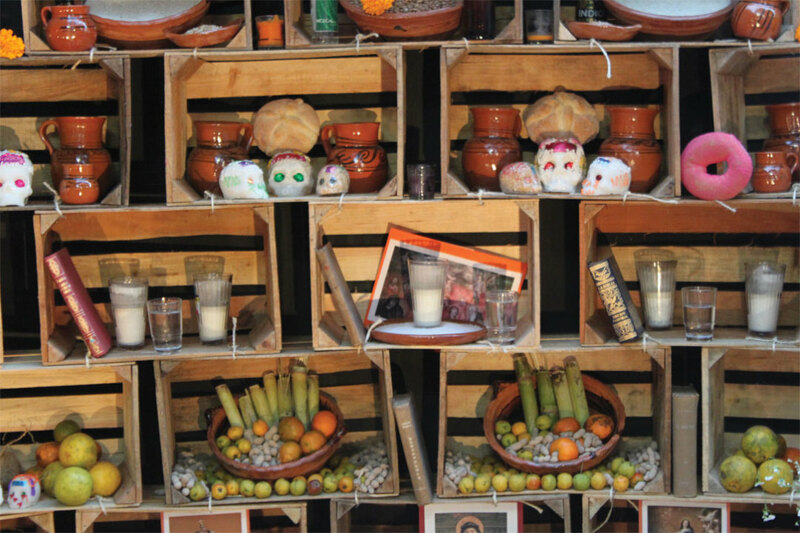 Kahlo’s little house, the Casa Azul, is now a museum. Because it’s so intimate, it got a pass on the no-museum rule, and the girls and I devoured the sight of Kahlo’s dolls, the bed with a mirror where she painted while healing from surgery, and the kitchen where she and her cooks assembled feasts. The girls were especially bewitched by the tropical garden with blue walls and a giant, faceless Frida-and-Diego cutout from which they could take selfies of themselves as the famous pair. Ceding the spot to a pair of French tourists who wanted their turn, the girls were all business again. I was glad to oblige. To this day, I own a series of acorn-size clay pots and pans, Lilliputian replicas of the traditional cookware still used in many Mexican kitchens. Miniaturized tools of daily life are signature Mexican toys: thumbtack-size tin cups, minute brushes and brooms, platters of tiny plaster tamales and enchiladas, even microscopic mortars and pestles carved from the traditional volcanic rock. 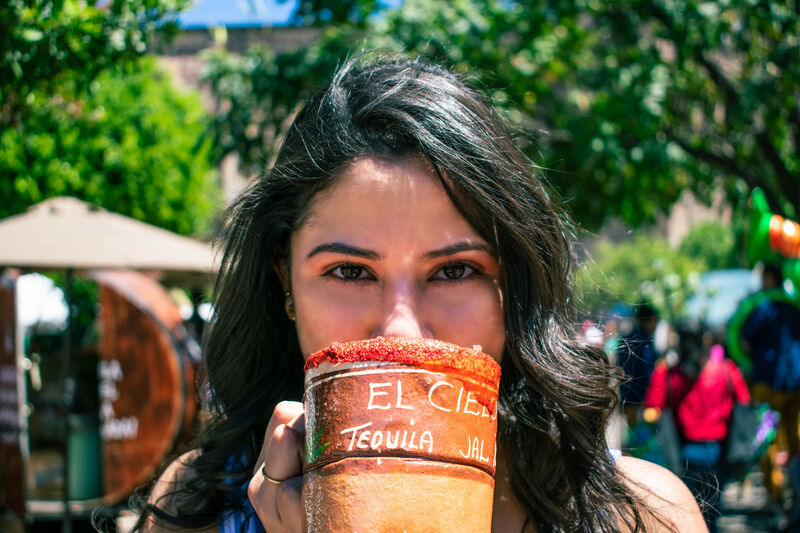 Coyoacán’s covered artisans market is a diamond mine for such objects. The motherlode was a stall run by a white-haired woman in a straight skirt and heels, a dead ringer for the Old Lady in Babar. Clutching their change purses, the girls studied the hundreds of options—a selection far more sophisticated than I remembered from my own market forays. “A silver candelabrum. With real candles,” Elena crowed. “But here’s a layer cake. With sprinkles,” Anna countered. “How about these teeny jars of preserves?” I proposed. “We don’t like preserves even in real life,” Anna pointed out, returning her attention to a matchbook-size bookcase stocked with red volumes. 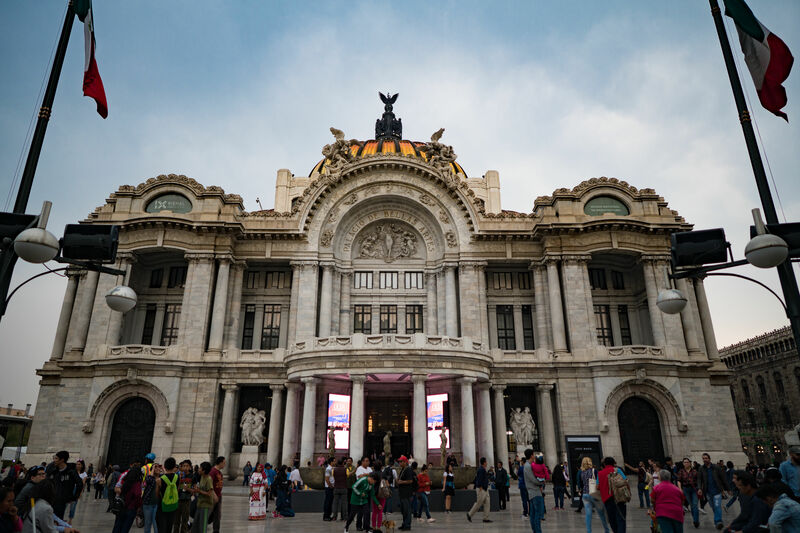 The next day, we visited Mexico’s Centro Histórico. For the girls, the lure was La Ciudadela, the mammoth artisans market where craftspeople from throughout the country sell ceramics, embroidered huipil dresses, tooled leather belts and blue-rimmed glassware. But what delighted me even more was the public transport to get to the Centro. When I was little, I would watch my father point to the gray miasma hovering over Mexico’s thoroughfares to explain how smog was formed. 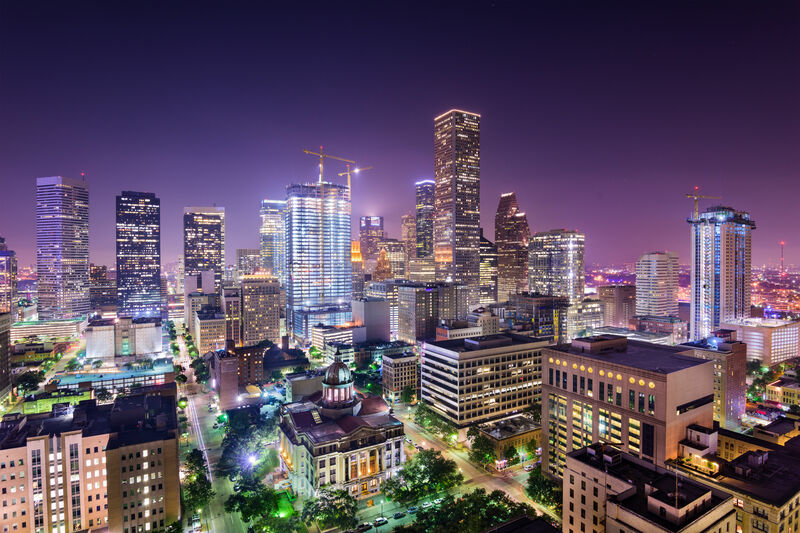 The city still battles some of the world’s direst pollution. But its fleet of efficient red buses, one of several measures to control both traffic and smog, have helped thin the haze. “The most transparent region of the air,” my mother used to say about the sparkling Mexico of her childhood. It was a quote from a colonial traveler, but by the 1970s it seemed absurdly fanciful. After getting off the bus, we headed underground for the last leg of the journey downtown. Mexico’s excellent subway system carries millions of inhabitants to work and school every day. But it’s also a portal to another reality: pre-Columbian Tenochtitlan, the canal-laced metropolis of the Aztecs. Since the city started digging subway routes in 1967, workers routinely have come across important pre-Hispanic ruins, including a circular monument to Ehecatl, the god of wind, which they left in place; the Pino Suarez station was built around it. And eleven years later, close to the city center, Metro workers uncovered a stone disc weighing more than 18,000 pounds. It was part of the great pyramid that formed the religious heart of the Aztec empire. So the subway was the perfect way to get to the Zócalo plaza in the Centro Histórico, where Mexico’s indigenous and colonial empires confront one another most starkly. Five centuries ago, the Aztecs massed to the north of this plaza at the Templo Mayor; in the 16th century, conquistadors destroyed the temple and used its stones to build the Metropolitan Cathedral. Today, in the shadow of the cathedral, the temple continues to be excavated, its treasures filling a new museum a stone’s throw away, the Museo del Templo Mayor. 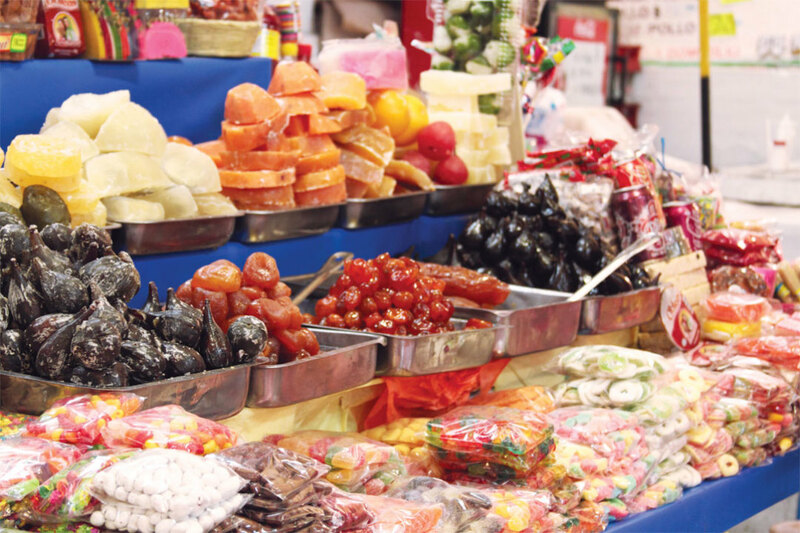 Tempting sweets are everywhere in D.F. Straight sugar and flour, on the other hand, are generally a fine bet. Mexico’s sweets, I confess, don’t technically qualify as a childhood memory; I fell for them after college. Twenty years ago, in front of the church in the neighborhood of San Angel, a girl in braids sold me dollar-size cinnamon corn cakes wrapped in orchid-colored tissue. My daughters met another young girl frying the same little cakes in a Coyoacán plaza. Their eyes shone as she wrapped their parcels in the same luscious purple paper. On Avenida Revolución, I used to buy gumball-size tamarind candies, little more than mouth-puckering tamarind paste, crunchy sugar, and a shot of chile powder. A subway vendor sold my girls a super-size version: spheres that fill the palm of a hand, to be chomped like apples. Some of the sweets had evolved. Obleas, for instance: colorful little wafers that who knows how many children have nibbled with a slight thrill of transgression: they are essentially dolled-up communion wafers. The kiosks now exploded with handcrafted variations on this classic. Little obleas now came in the shape of valentines. Larger ones were now shaped, pasted and decorated like paper dolls. “A dolphin!” “Look at the ice cream cone!” “Is that a … clown?” The biggest came dipped in chocolate, gaudily striped with strawberry and caramel glaze, and studded with sesame seeds. While obleas were new to them, the girls instantly recognized something I’d never seen: translucent, leaf-shaped sugar films the color of gems, spread between cellophane sheets. Though each held a small stick, they were too flimsy to be called lollipops. “There’s a technique,” Elena announced. A Mexican friend at school in Houston had shown her how it’s done. Sitting side by side, both girls pulled away one sheet of cellophane, folded the fragile leaf downward, then doubled it again and from the sides until it became a sturdy, rectangular lollipop. “Watermelon with chile,” Anna reported. “Pineapple,” Elena said. She gave me a taste. It was fruity, tart and spicy. If I’d seen these when I was 10, I would’ve been smitten, too. I hoped the girls and I would similarly agree about pyramids. Of all my memories of Mexico, the strongest was of Teotihuacan, a 2,000-year-old pre-Hispanic ceremonial complex 31 miles northeast of the D.F. I remembered the stark shapes of the pyramids, the cry of birds overhead, and the stifled panic I felt, having clambered halfway up, when I realized it would be just as hard to climb back down. I must have recovered, because I also recalled standing on the ground and hearing a distant pop-pop-pop from atop the Pyramid of the Sun. My brothers, in those less-regulated times, were firing bottle rockets. At the edge of the complex, I heard the bird cries I recalled from decades back. It turned out that they emanated from the same source as the handicrafts: vendors selling handmade copies of pre-Hispanic sculptures. One man held up a clay eagle and blew into it. The scream of a bird skirled to the sky. Then he blew into a clay jaguar, and we jumped. It snarled like an attacking animal. It was easy to see why visitors to Teotihuacan crave some kind of memento. 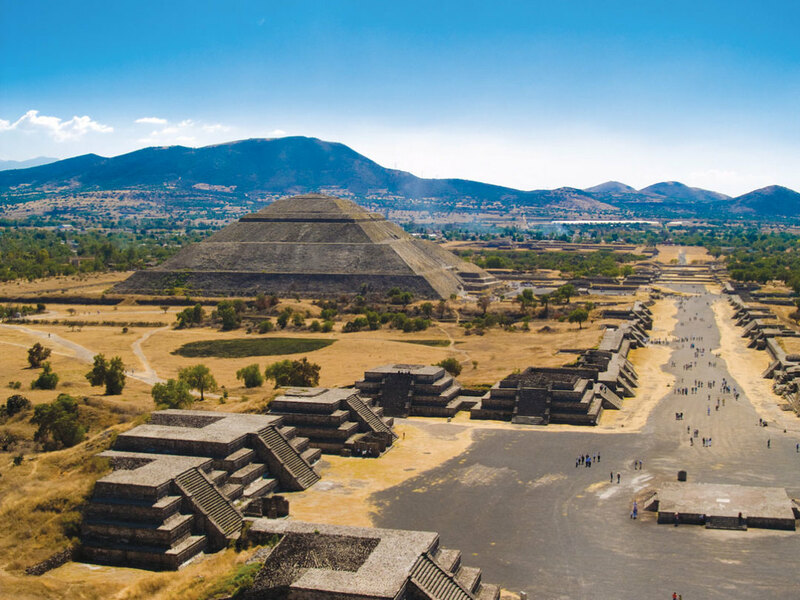 Excavations have restored two massive pyramids surrounded by a checkerboard of ceremonial buildings, all lining a perfectly straight flat avenue. Even now, without its original bright colors, Teotihuacan looked like a city on another planet. The girls showed just a wisp of interest. It was the pyramids that electrified them. “Let’s climb!” Anna said. And soon we were scaling the Pyramid of the Sun. Did my brothers really set off bottle rockets from the top of this pyramid? It seemed hard to imagine, as I peered at the guard-dotted tourist complex below. Maybe it was something I made up later—a story concocted from bird shrieks, pyramids and miniature beasts made of clay. There really is no telling what children will remember from travel. But inching beside my girls up the Pyramid of the Sun, I felt more sure than ever that it was good they were absorbing Mexico in childhood, as I did, so it could nourish their imaginations for life.